Two main interests hold a prominent place in Hiromichi Hosokawa’s life: sports and food. Growing up in Tokyo, Hosokawa could not get enough of sports, whether playing them himself, skipping Sunday school to watch baseball games, or admiring athletes participating in the 1964 Tokyo Olympics. Upon entering the workforce at age 19, however, Hosokawa pursued his other passion: food. Any spare change he received or earned as a child was dedicated to dining out, which ultimately led him into his profession. 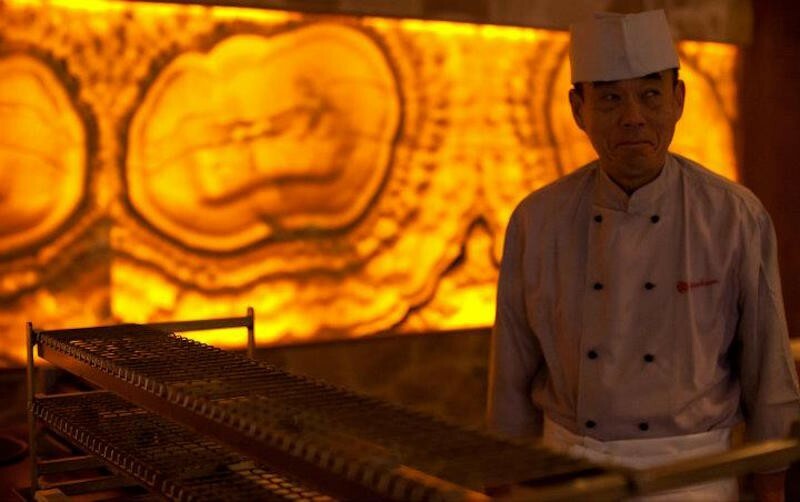 Hosokawa honed his culinary skills at the Okura Hotel in Tokyo. Okura was the first Japanese chain to expand overseas, and he decided to transfer to Amsterdam. Over the years, he mastered techniques that formed the foundation of his gastronomic career, ultimately leading him to earn the title of Master Chef. In 1992, with the idea to break off and introduce a fresh, new concept of his own, he started Restaurant Hosokawa. Continuing to produce stellar creations, the restaurant remains highly regarded for its Japanese specialties, focusing on sushi, the Robata grill, and Teppan Yaki.